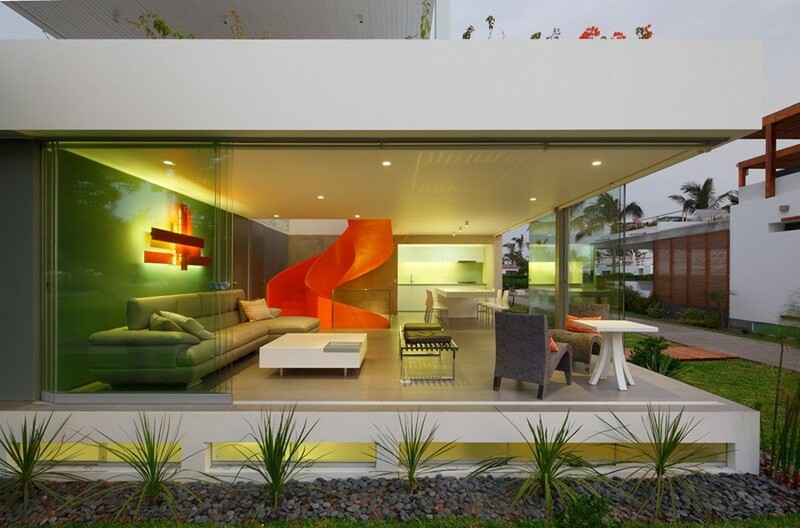 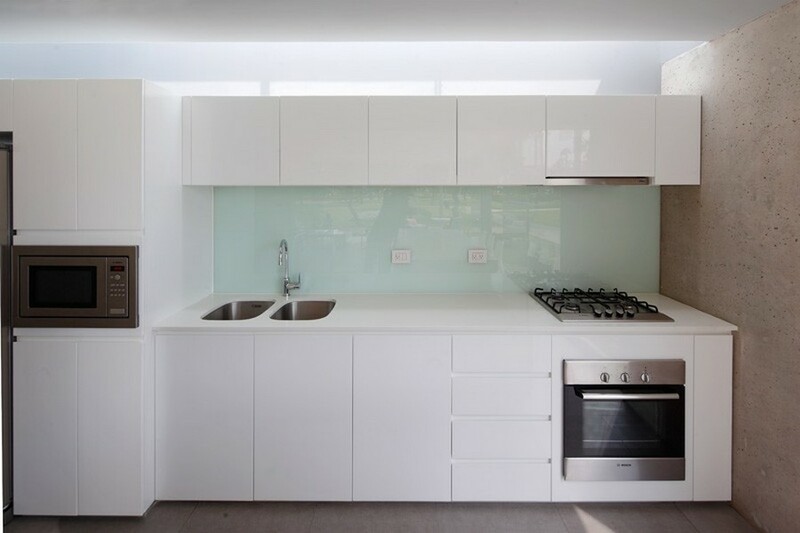 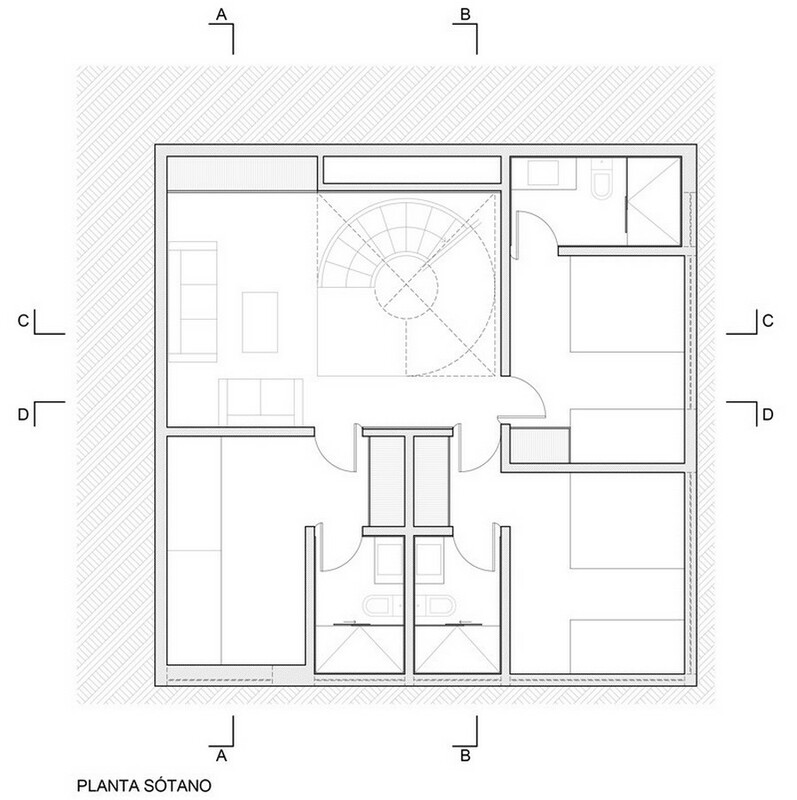 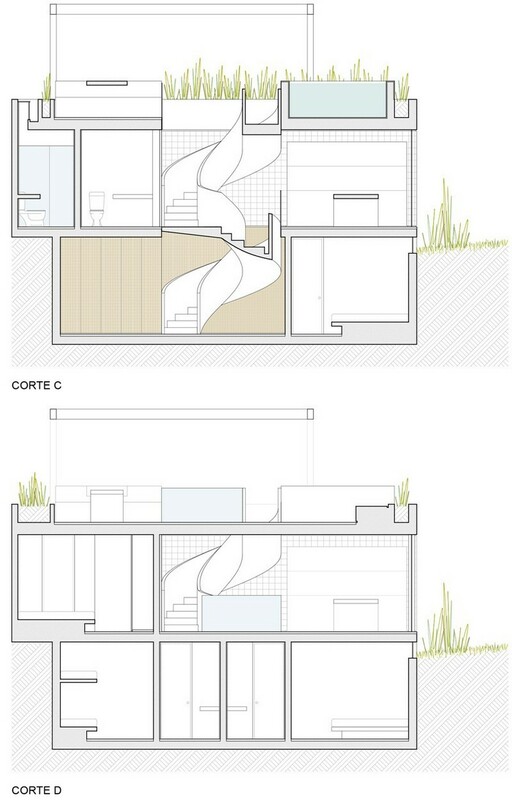 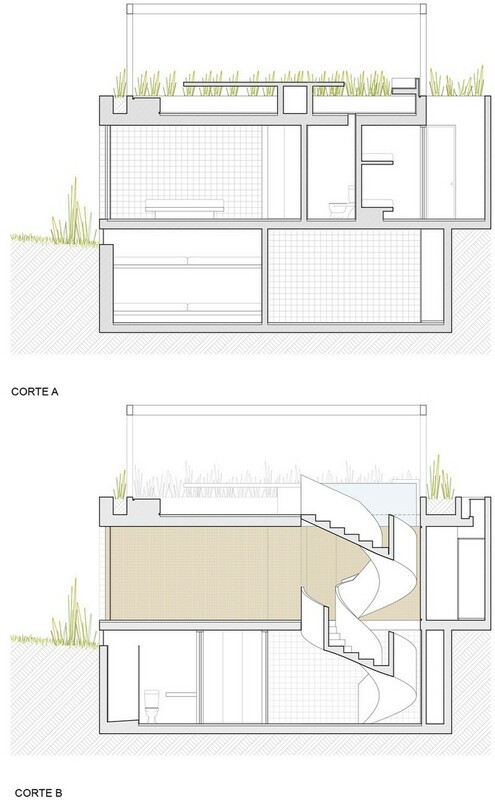 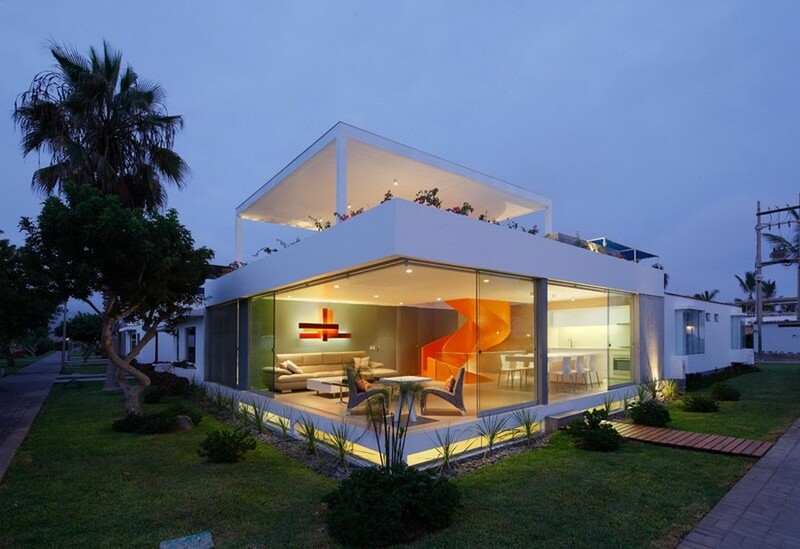 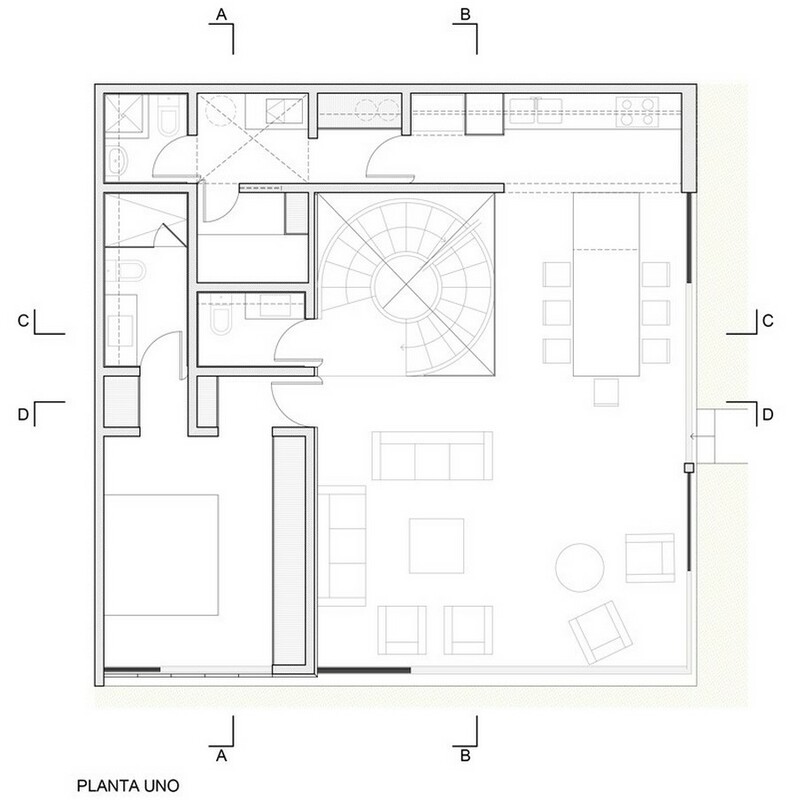 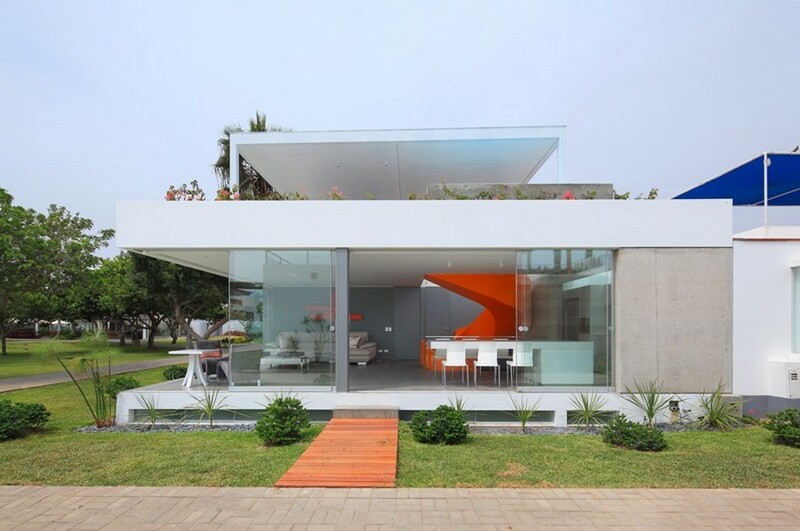 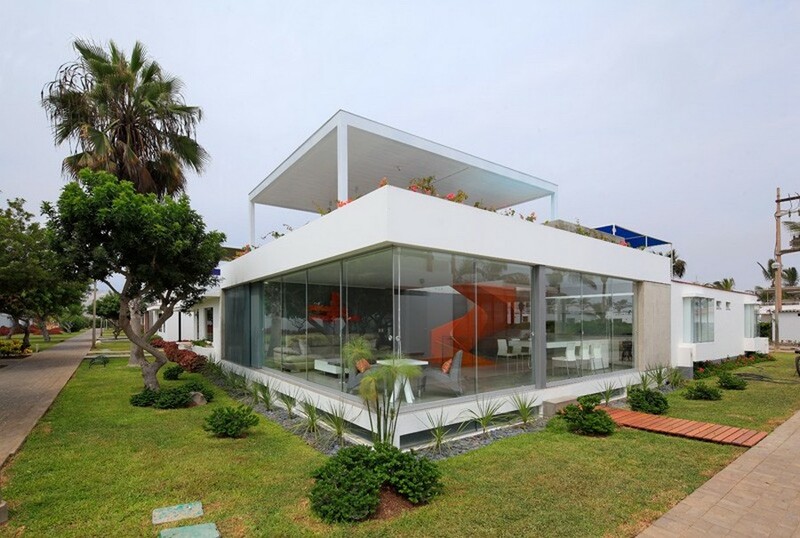 A massive white block excavated to make room for living spaces is seemingly the concept for Casa Blanca Residence in Lima, Peru. 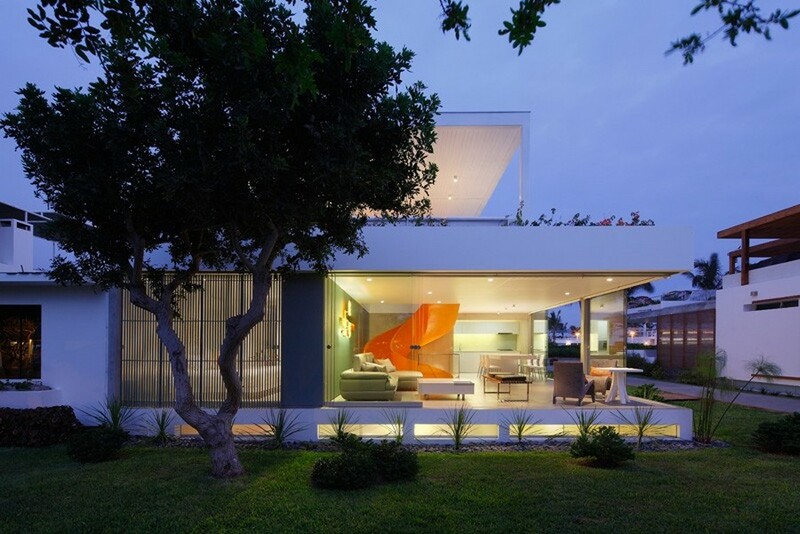 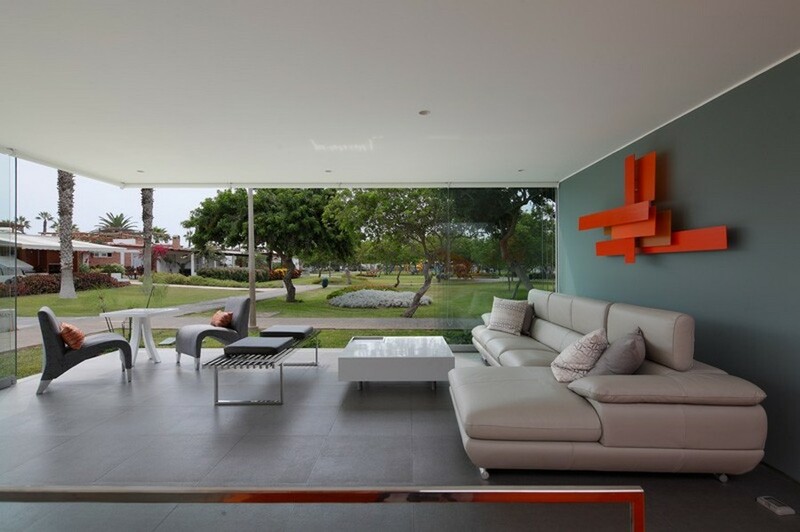 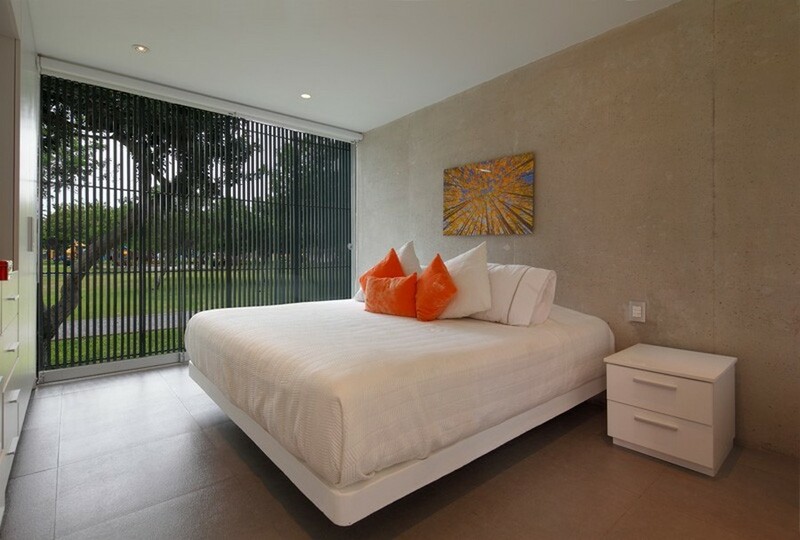 Envisioned and implemented by Architect Martin Dulanto Sangalli, the modern home offers an optimized indoor-outdoor connection and plenty of opportunities for socializing and leisure. 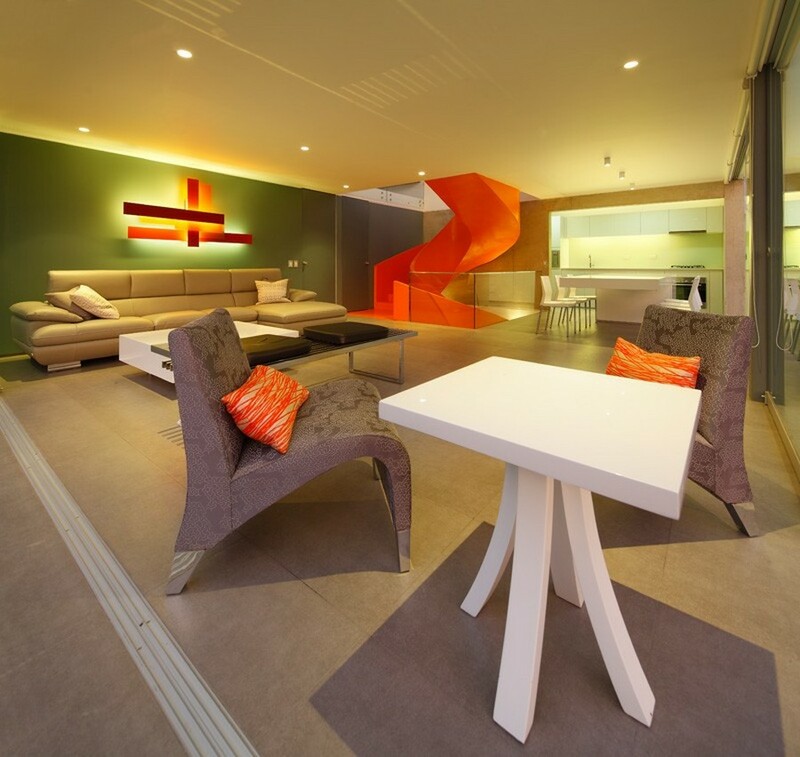 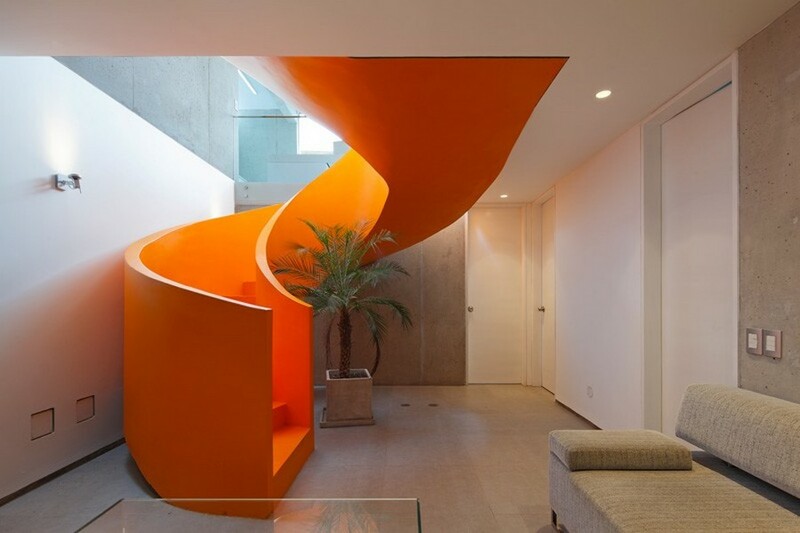 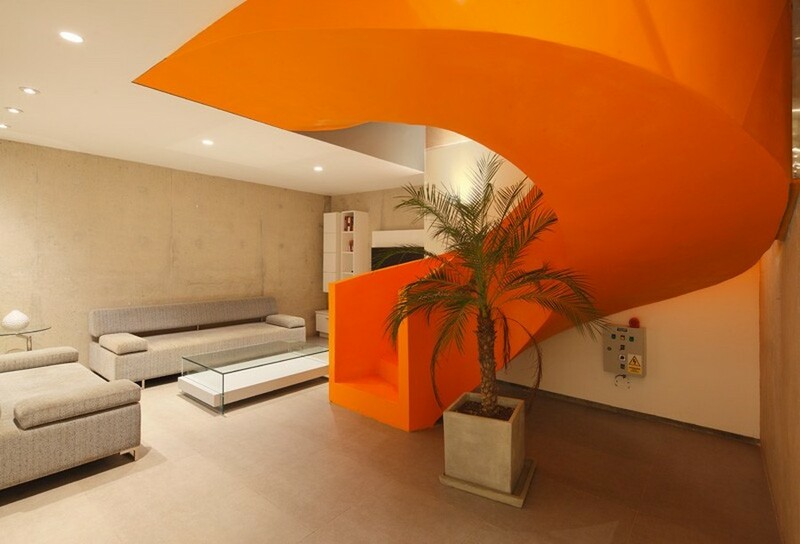 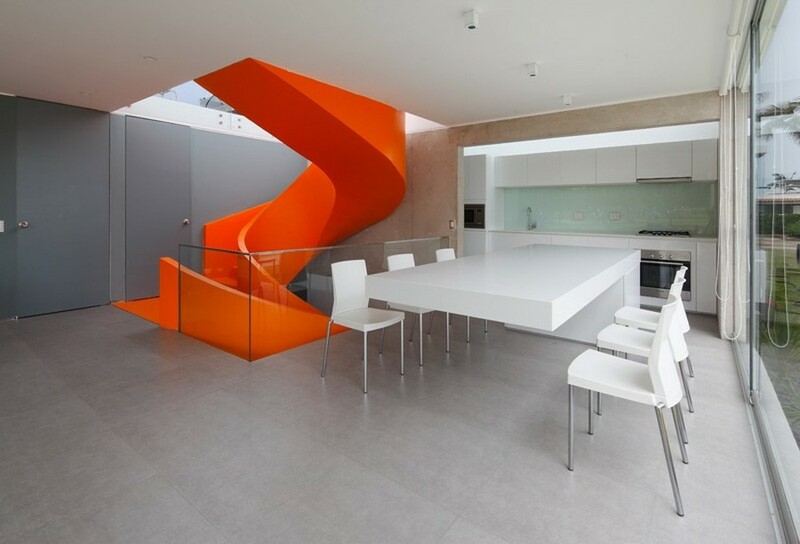 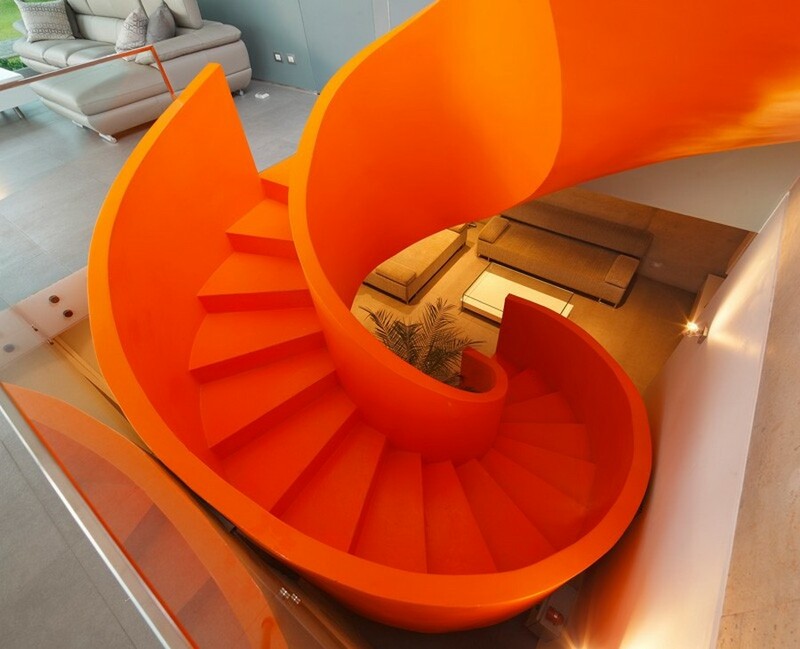 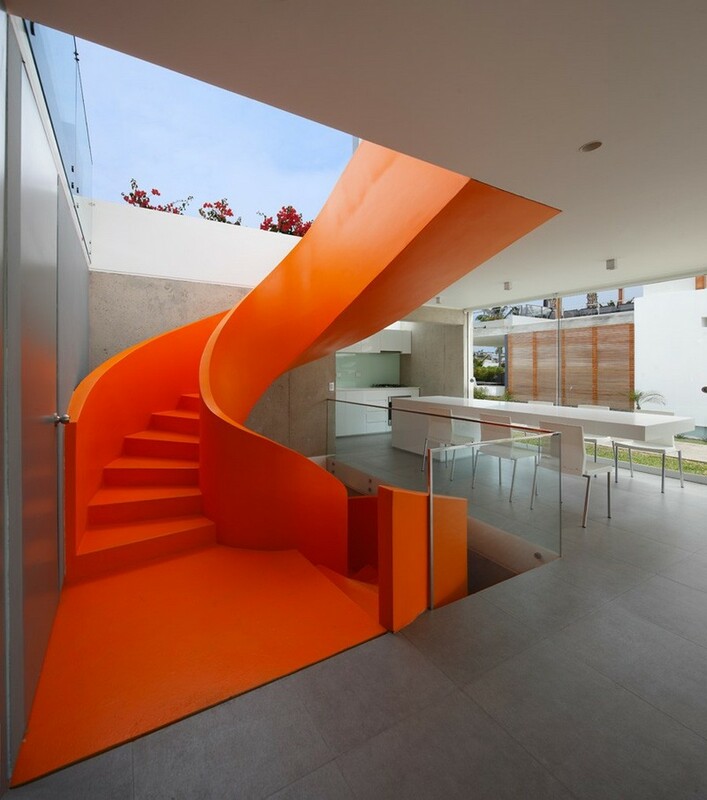 The “chief actor” of the interior design scheme (also visible from the outside) is a bright orange staircase that sets the tone for a dynamic ambiance.